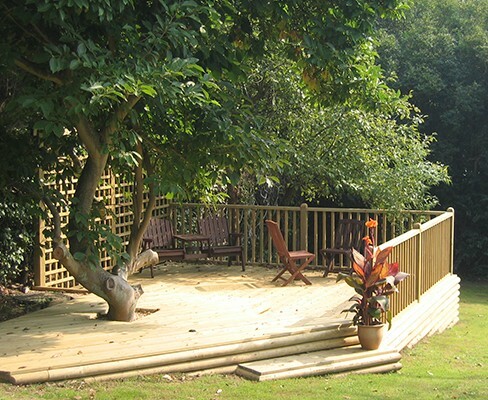 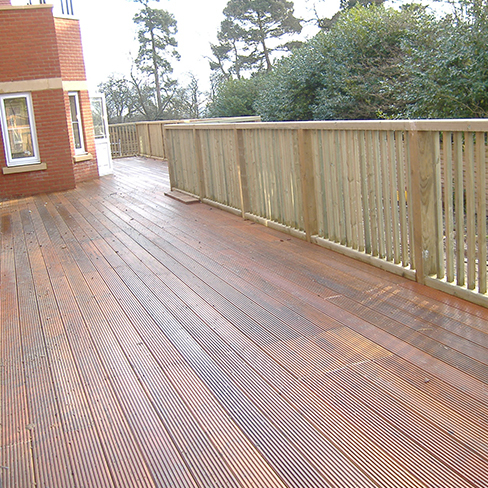 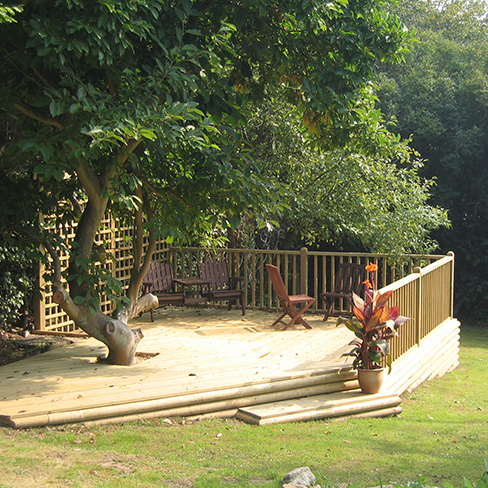 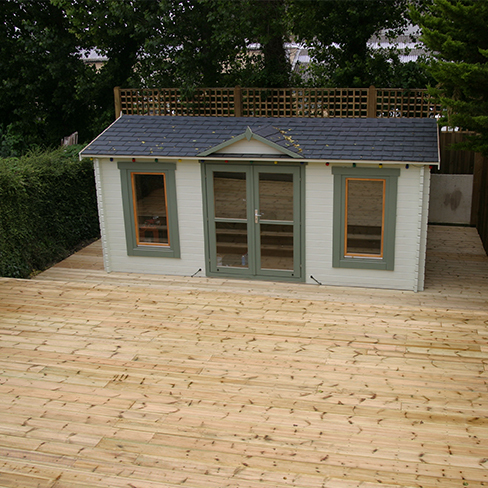 A deck is now accepted as an outside living room, an extension of living space in your home. 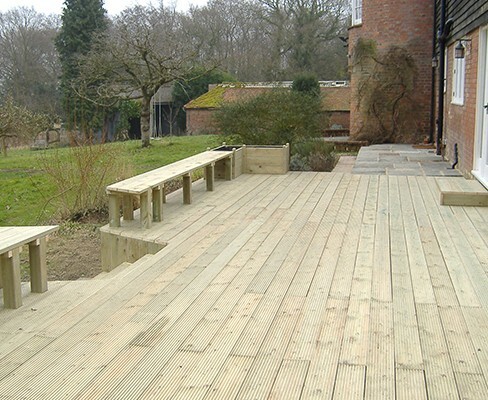 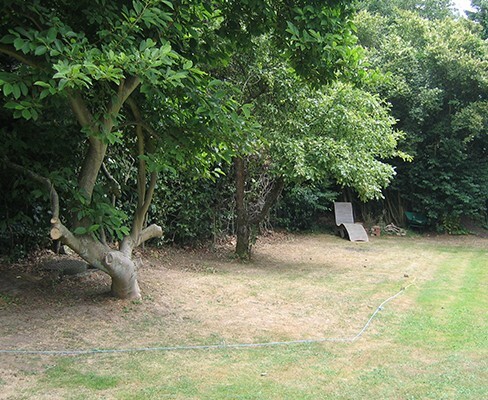 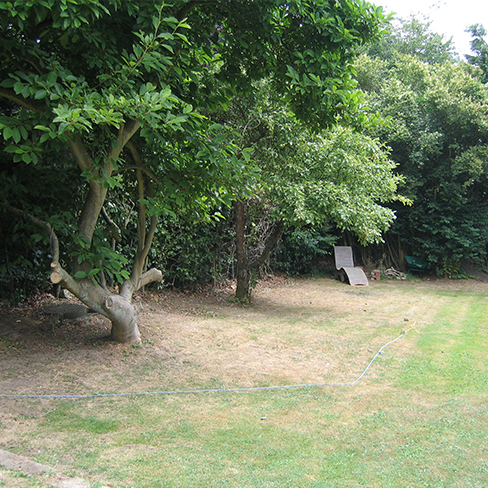 Turning previously unusable pieces of ground into a relaxing and enjoyable environment. 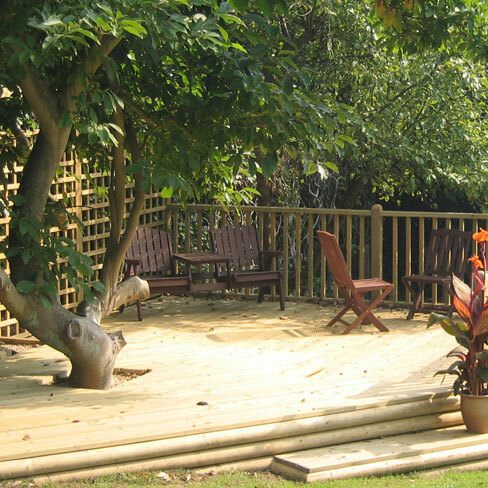 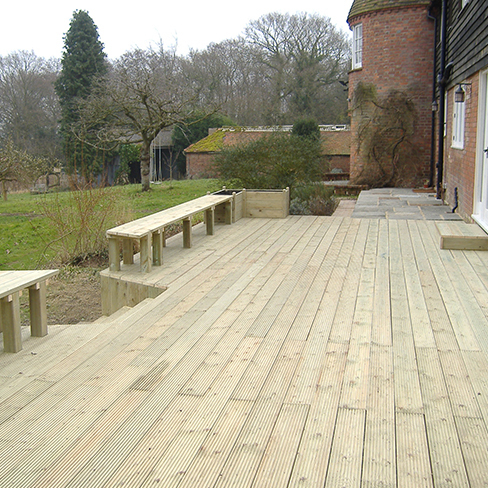 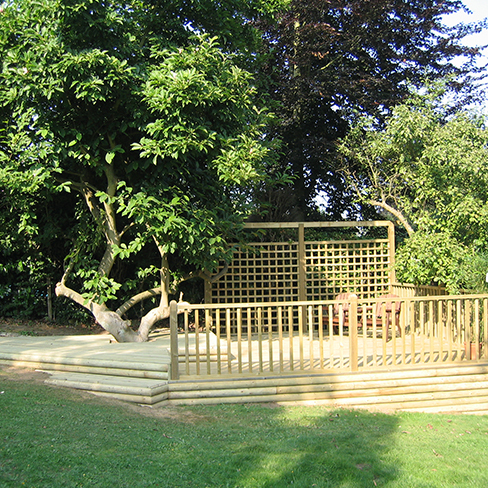 However small or large the area, a deck compliments every garden. 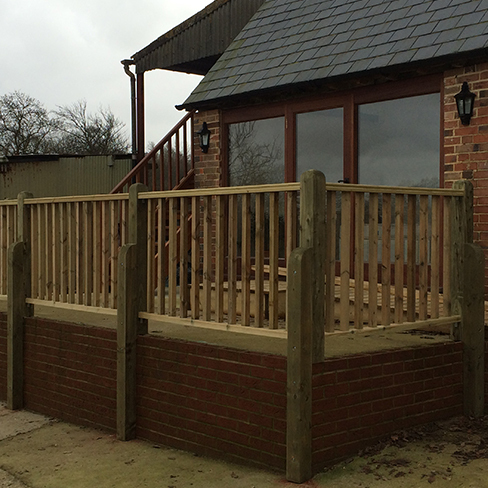 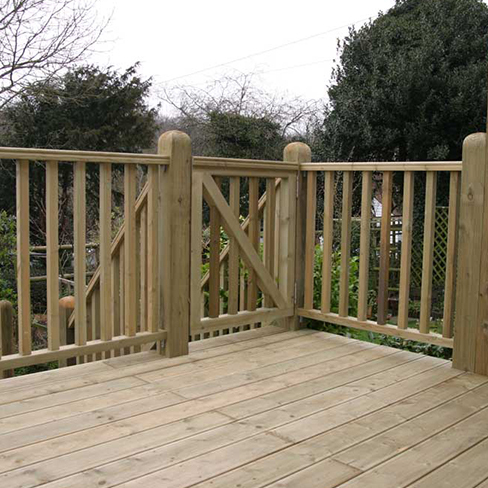 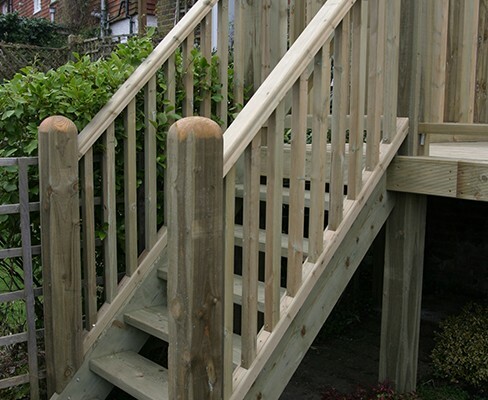 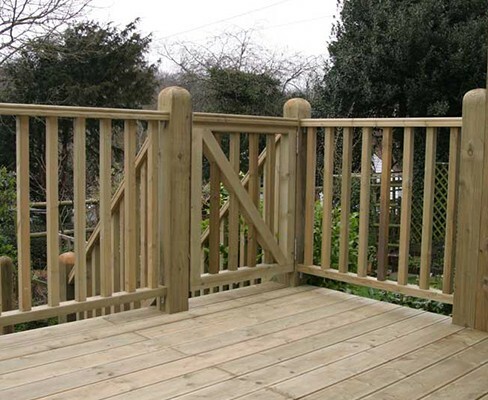 Under and above the decking, support posts are set at a maximum of 2.4m (8′) centres (unless existing walls and buildings are available to secure your deck to). 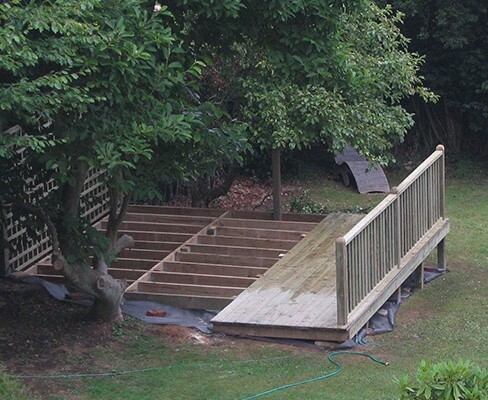 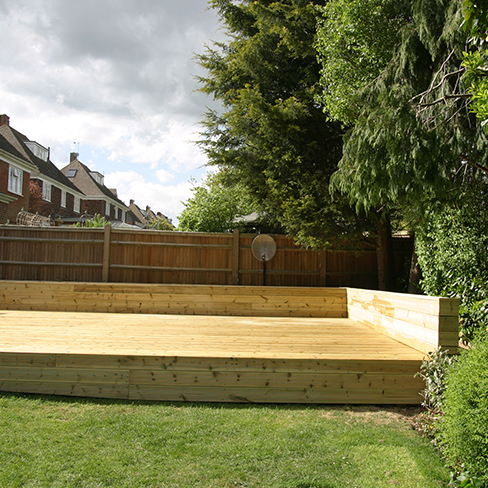 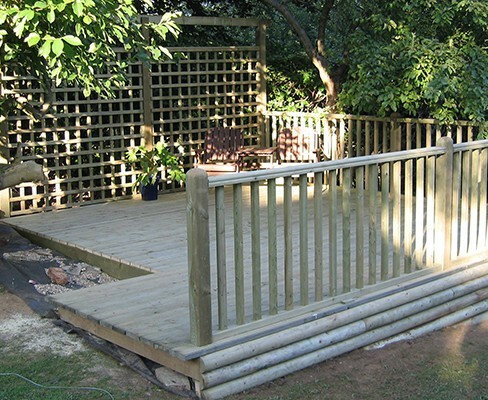 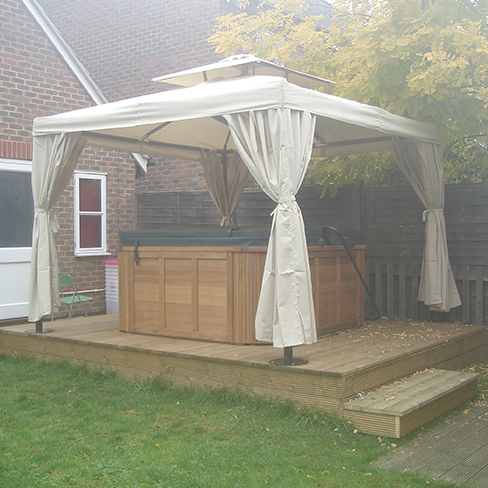 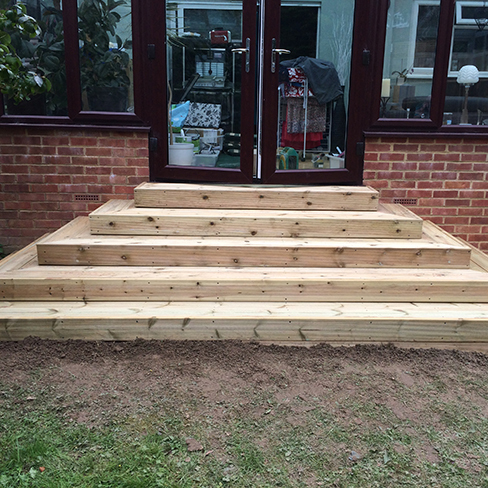 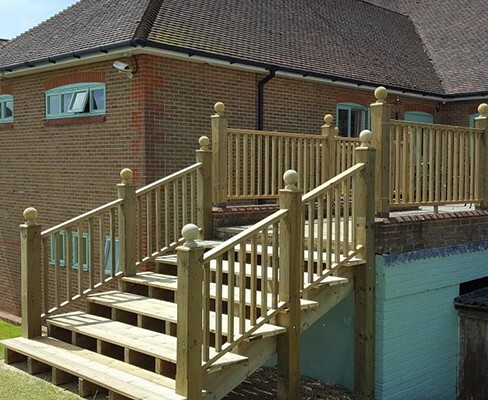 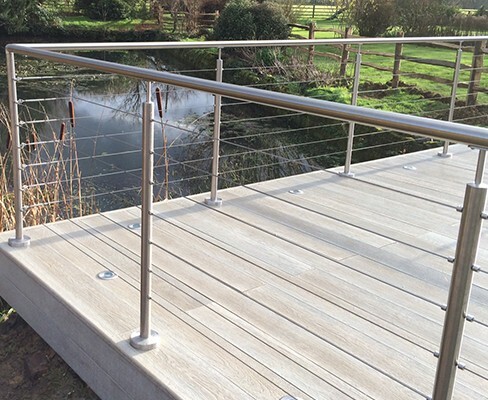 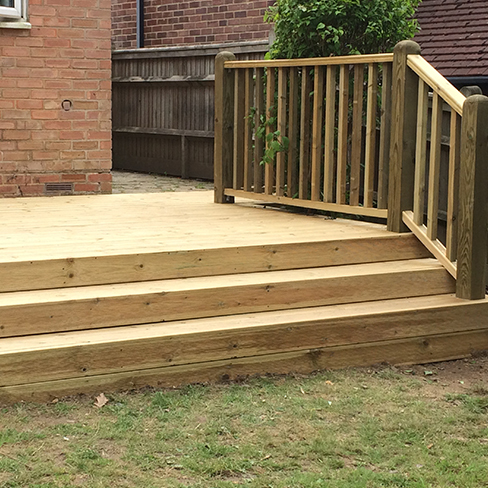 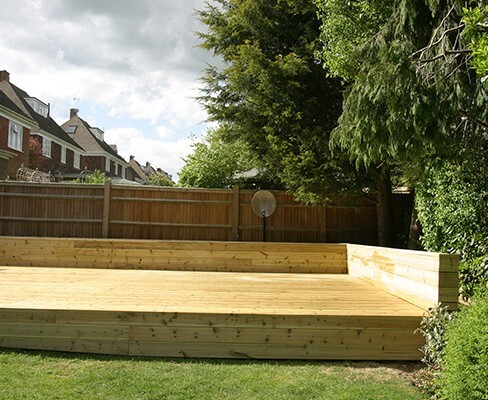 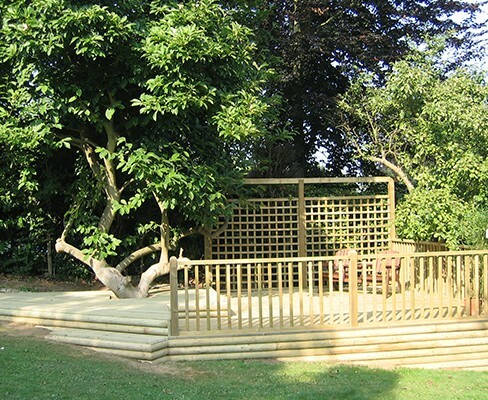 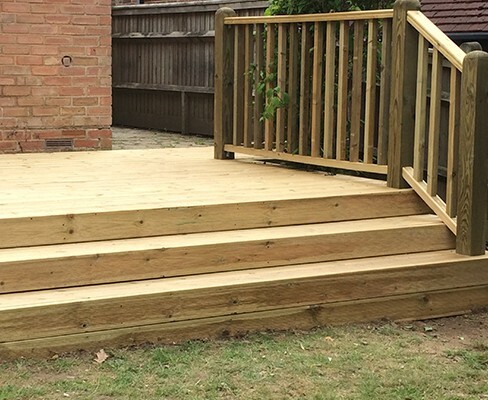 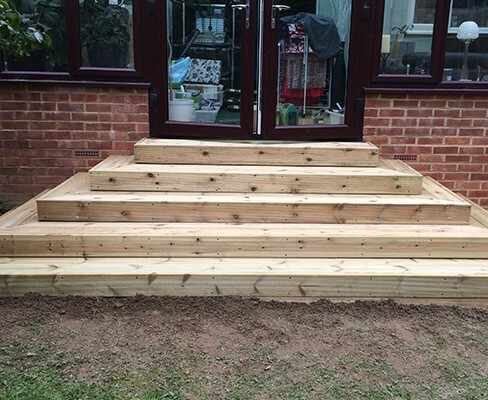 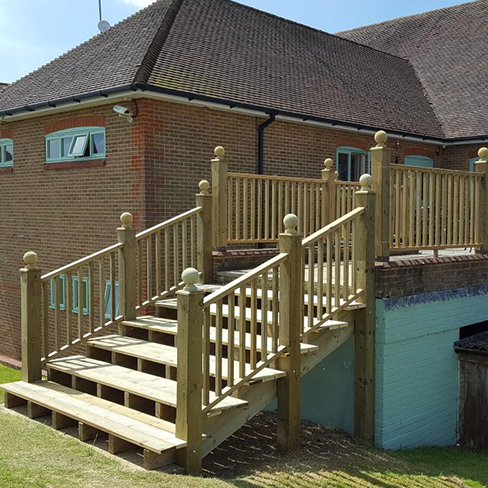 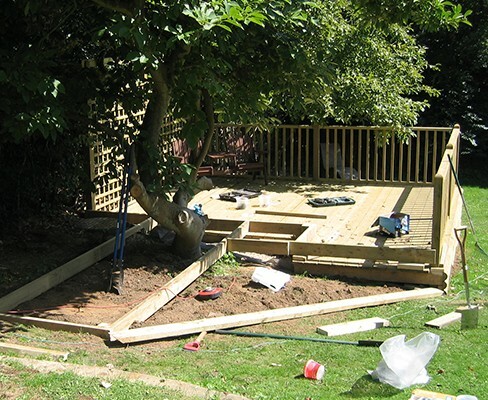 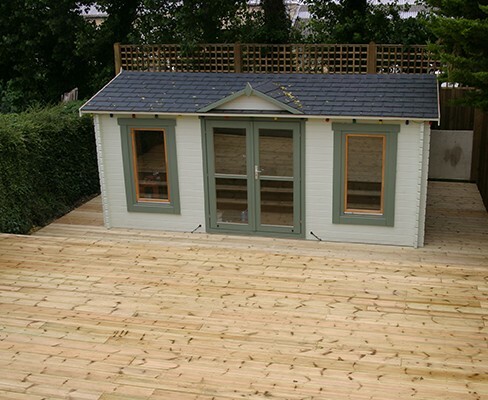 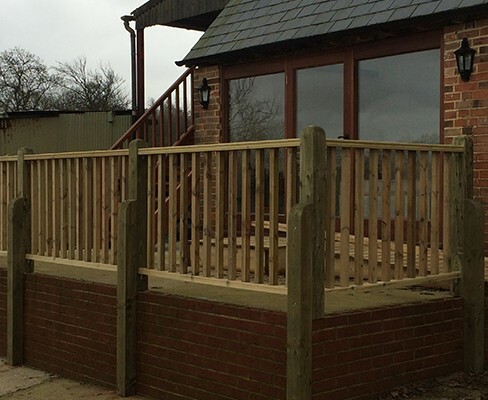 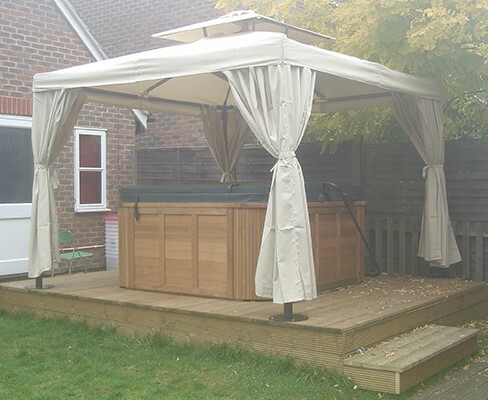 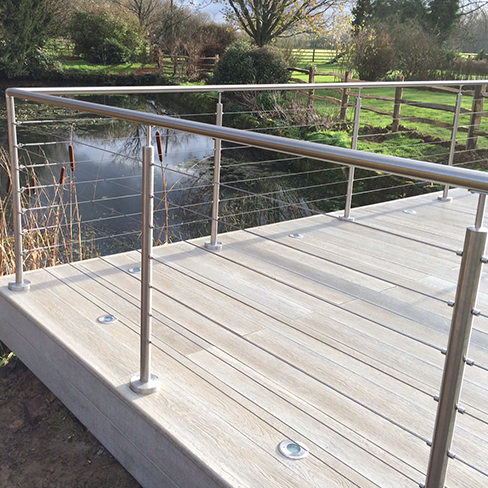 The base construction consists of 47 x 100mm or 47 x 125mm or 47 x 150mm timber, dependant on the load bearing requirement and the height the deck stands off the floor. 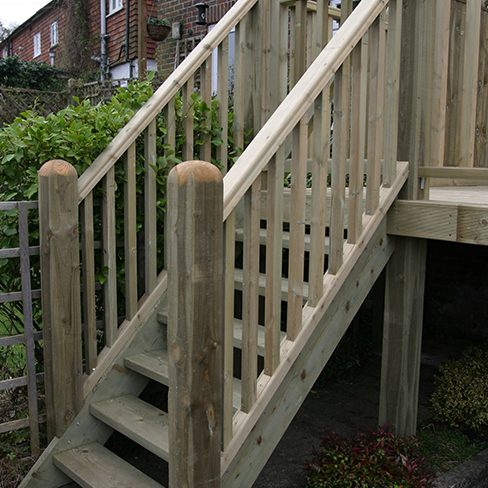 Larger sizes are available from stock if required. 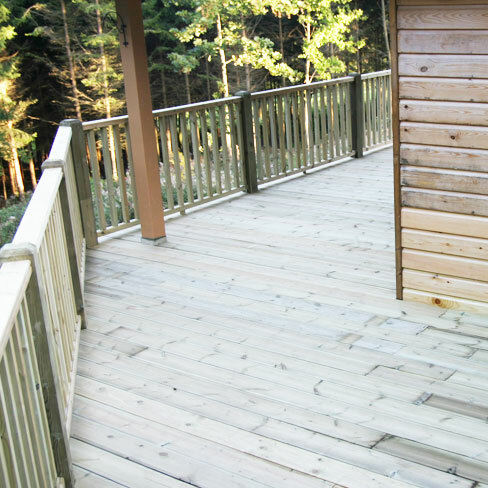 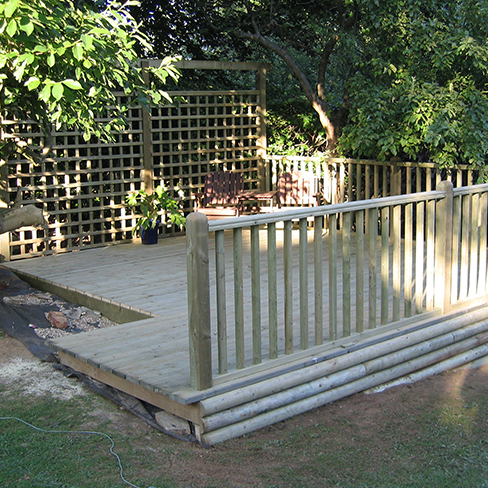 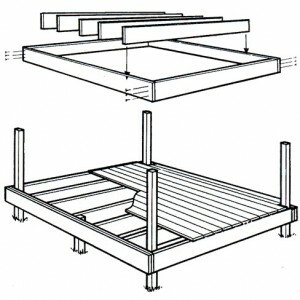 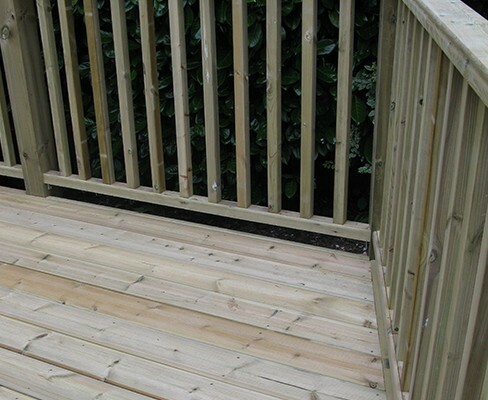 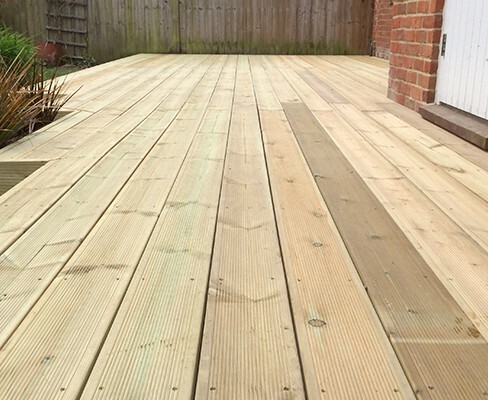 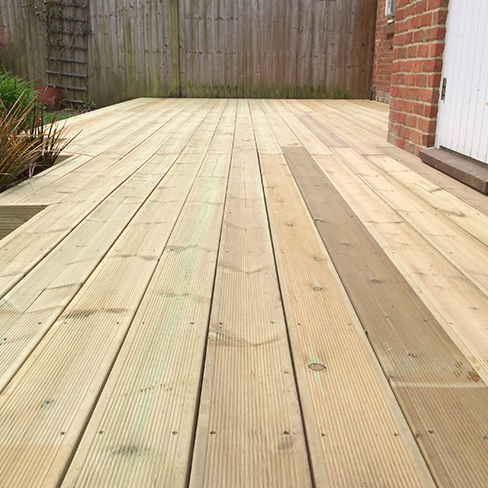 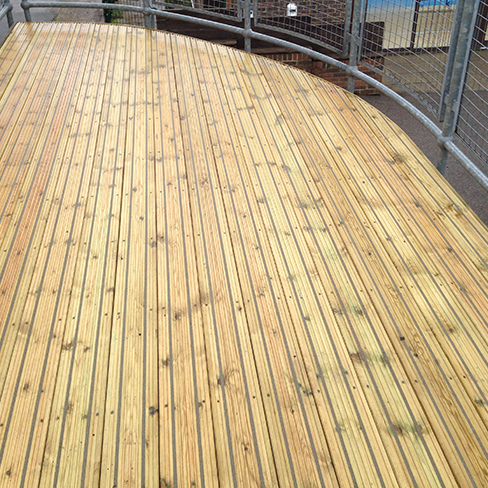 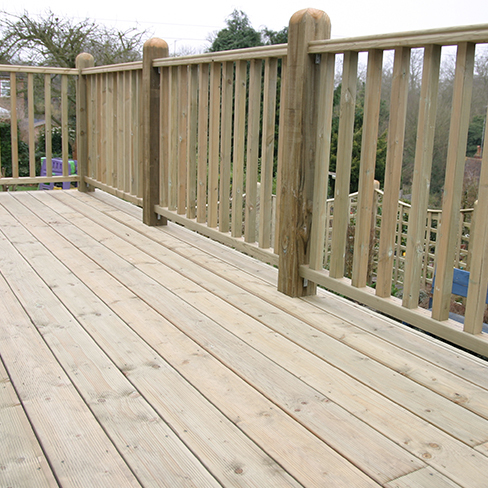 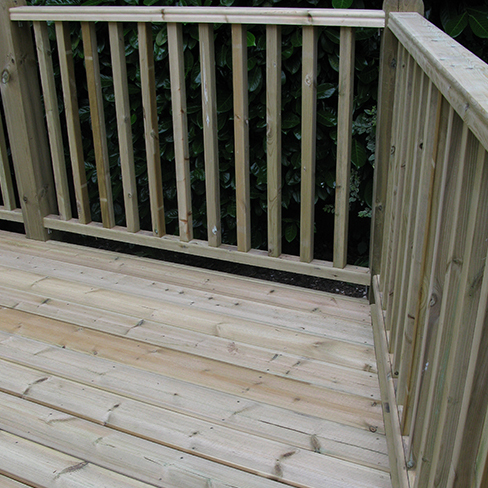 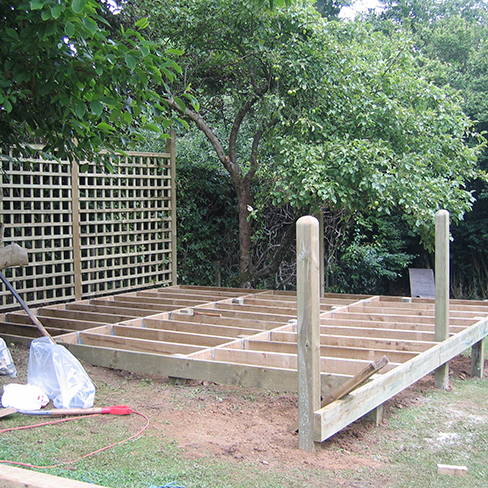 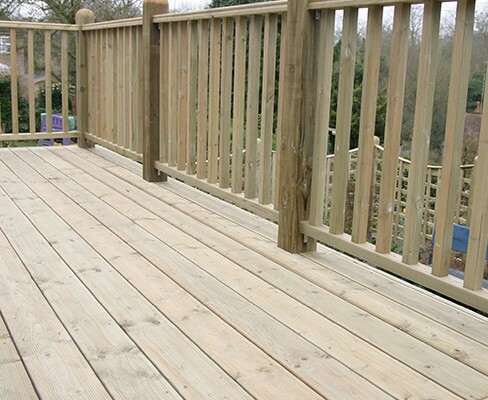 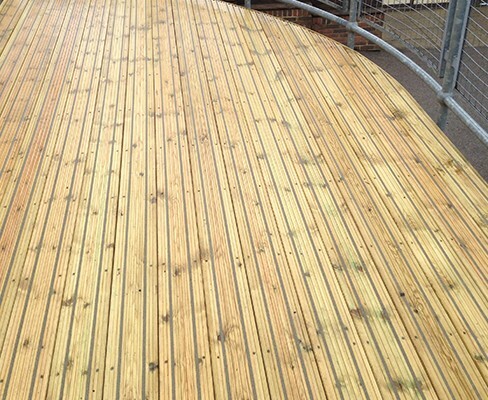 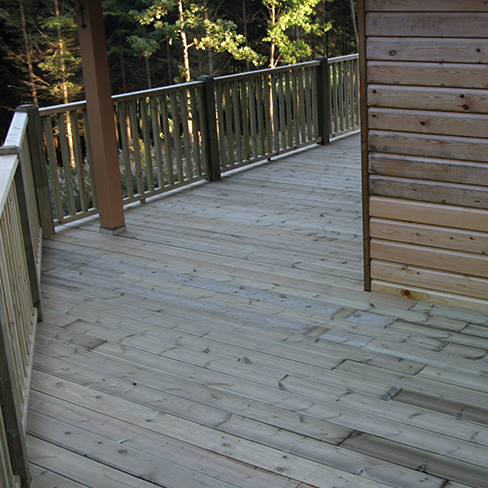 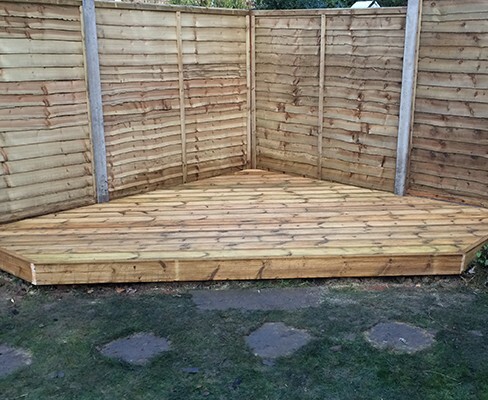 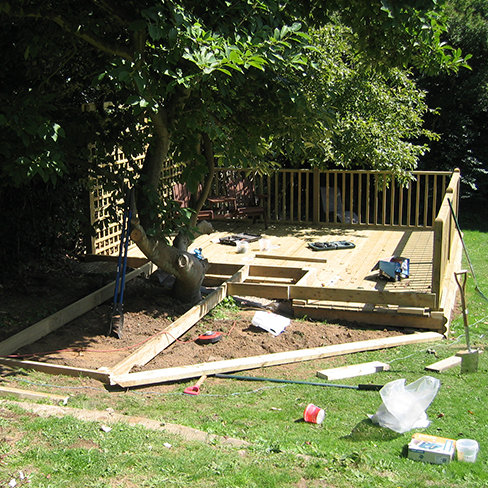 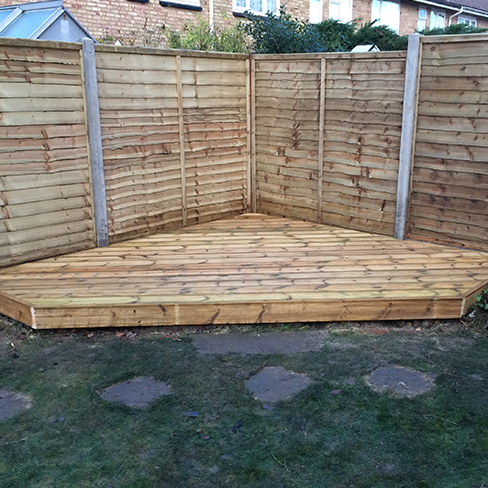 The main joists run the length of the decking at a maximum of 2.4m (8′) between the decking support posts. 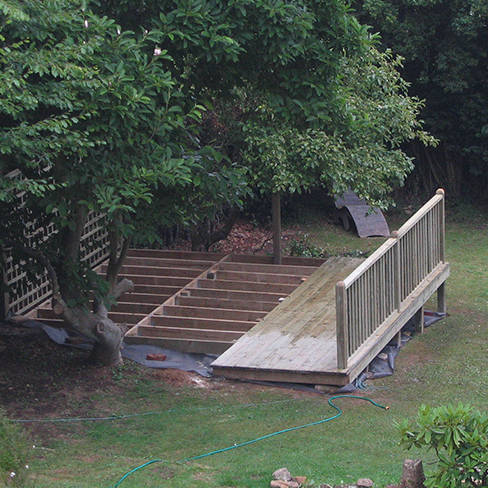 The inner joists are spaced at a maximum of 450mm (18″) centres and also supported at a maximum of 2.4m (8′) centres. 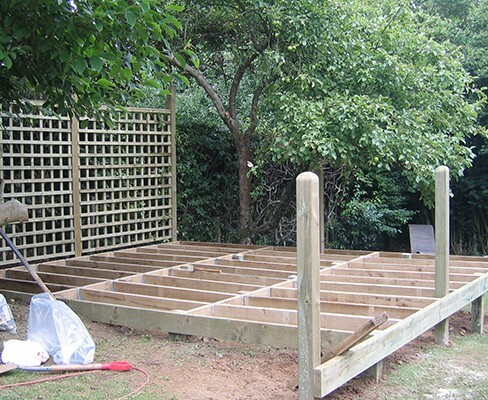 For easy assembly, joists can be secured using ‘Landscape Screws‘ or ‘Joist Hangers‘. 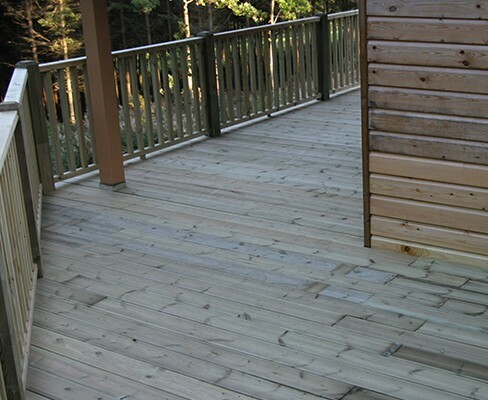 Here are a few examples of the many decks that have been created from our materials or installed by our Supply & Installation teams. 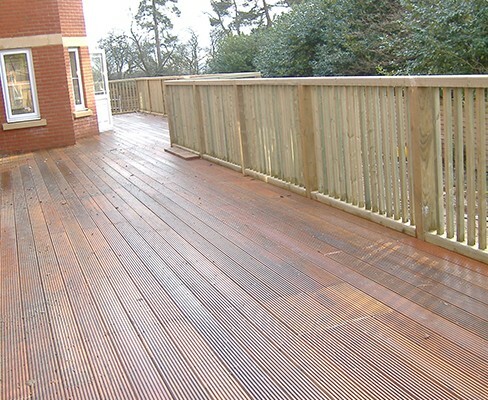 Need help designing your deck? 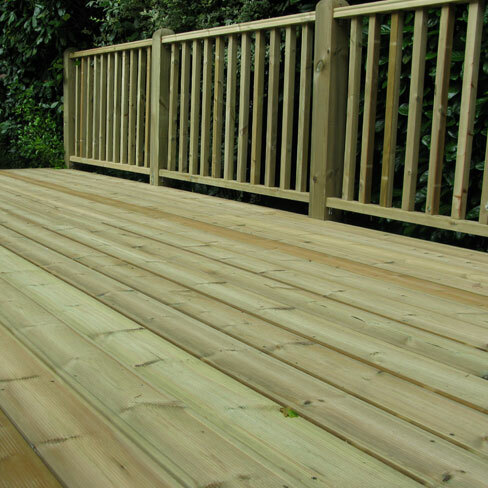 for an accurate quotation including all necessary components to complete your project.